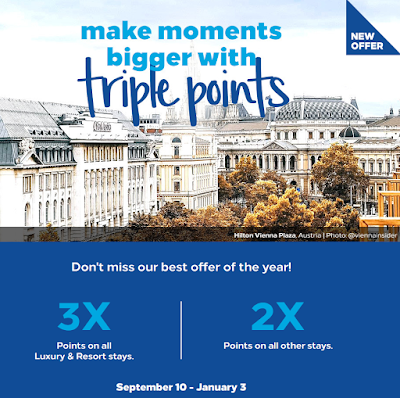 Offer valid for stays completed September 10, 2018, through January 3, 2019 at any hotel or resort within the Hilton Portfolio excluding Hampton by Hilton Hotels in Mainland China. Registration is required. Registered Hilton Honors members will only receive Bonus Points for nights completed during the Promotion Period, regardless of a check-in date before the Promotion Period begins or a check-out date after the Promotion Period ends. 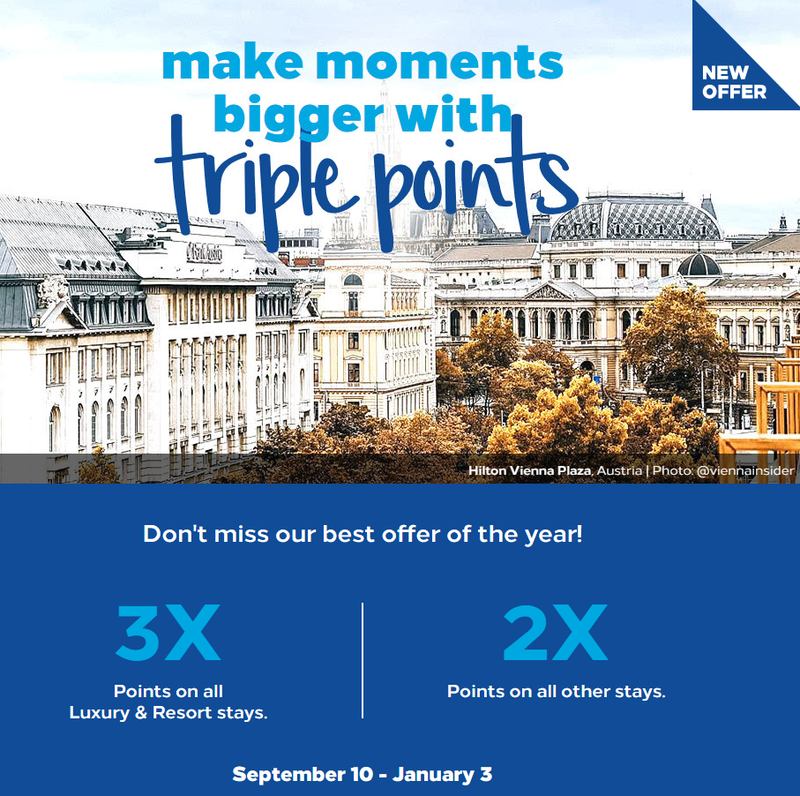 Registered Hilton Honors members will earn double points per stay on all non-luxury and non-resort properties and will earn triple points per stay at any luxury or resort property during the promotion period. Waldorf Astoria Hotels and Resorts and Conrad Hotels and Resorts are considered luxury properties. See here for a full list of luxury and resort properties that qualify for the Triple Points promotion. Members can also book resort properties directly through Hilton.com. There is no limit to the total amount of Bonus Points that may be earned during the Promotion Period with this offer. However, there are restrictions on the amount of Base Points that can be earned on a single stay at certain brands. Don't forget to get the Hilton Gold membership if you are an AmEx Platinum cardholder.